In the movies, a superhero’s chest might get the most screen time — that’s where their character’s iconic logo probably is, after all — but in real life, the muscles in your back are just as important. Work both muscle groups with one move with the kettlebell plank pushup to row. The effective exercise is a favorite of Don Saladino, the trainer behind the super-physiques of Ryan Reynolds, Sebastian Stan, and others. The rowing motion gives your back some love, while the pushup helps to pump up your chest. “The kettlebell plank pushup to row forces you to stabilize and engage one half of the body,” says Saladino. While you row, your core works overtime to keep yourself stable, meaning you’re getting some abdominal activation as well. 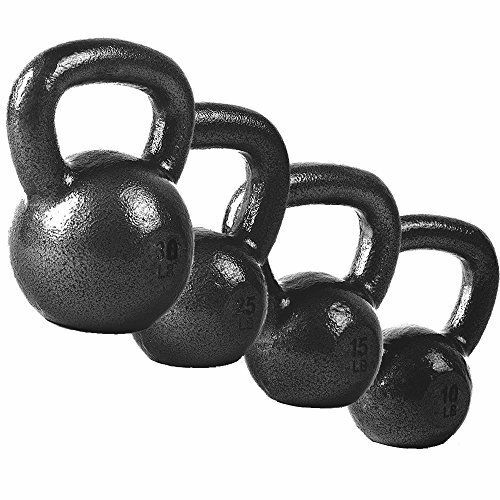 To perform the exercise, you’ll need a set of kettlebells. Assume a plank position, holding onto the kettlebell handles with your palms facing each other, instead of placing your palms on the ground. Squeeze your core and glutes to keep your spine straight throughout the movement. Use your lats to raise one of the kettlebells to your chest. Pause at the top and squeeze the muscle, then control the weight back down to the ground. Repeat the motion with the other arm. After both arms row, perform a pushup, lowering your chest between the weights. Just make sure to work hard to keep your posture intact throughout the movement. “The biggest mistake people make is moving their hips too much [during the row],” Saladino advises. Try out the kettlebell plank pushup in your next upper body workout, with 4 sets of 8 to 10 reps. Use light kettlebells to start, especially if you don’t often do rows — lifting those weights with good form will be harder than you expect.